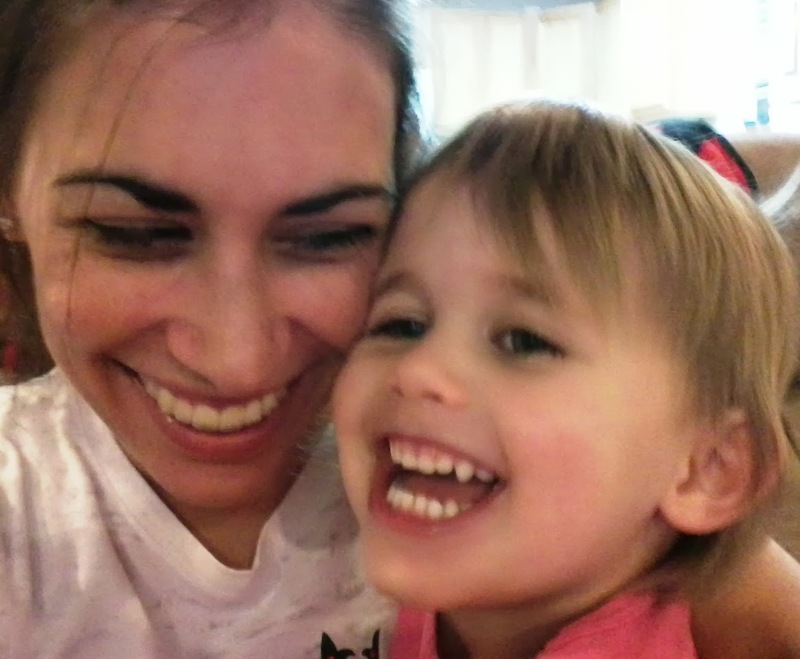 Monday night means family home evening time! We continued our follow the prophet lesson series number seven of nine, with the prophet Jonah. Our focus today was on choice and accountability. Follow the prophet, follow the prophet, follow the prophet;he knows the way! Story/Scripture: We read the story of Jonah in both the Berenstain Bears Storybook Bible (page 166) and in Old Testament Stories (chapter 39). They were both fairly short, so reading the two of them added more depth and detail to the tale of Jonah. The story comes from the Book of Jonah in the Old Testament. 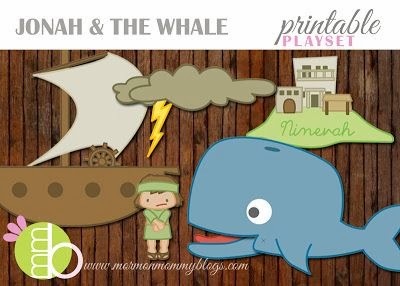 Afterwards, we acted out the story of Jonah with these adorable free printables I found at Mormon Mommy Printables. That was June's favorite part of story-time. Lesson Objective: I want to impress upon June the potential consequences of her choices, good or bad. When Jonah chose at first to flee from his duties given to him by the Lord, he chose poorly. His consequence was to be devoured by the whale until he learned humility and prayed for forgiveness. When Jonah repented and chose to proselyte to the people of Nineveh, he chose wisely. All the people of the city were converted and repented of their sins leading to the consequence of a righteous city and saved souls. We are accountable for all of our choices. Good or bad, we receive consequences for what we choose. They can either be a blessing or a punishment. June loved landing on the good-choice-ladder spaces. 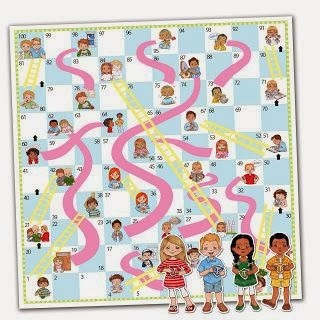 Activity: To illustrate the above lesson, we played a variation of the game Chutes and Ladders called Choices and Consequences. I found this game at the blog susanfitchdesign. It's absolutely adorable and June had a blast playing. At each chute or ladder space, there was a picture depicting a choice. Good choices led to a ladder which ended at a blessing space showing the consequence of that good choice. Bad choices led to a chute space which ended at a punishment space illustrating the consequence of that bad choice. 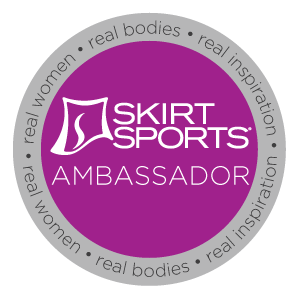 As long as she "makes" good choices, she continually moves forward and upward until she completes the game. 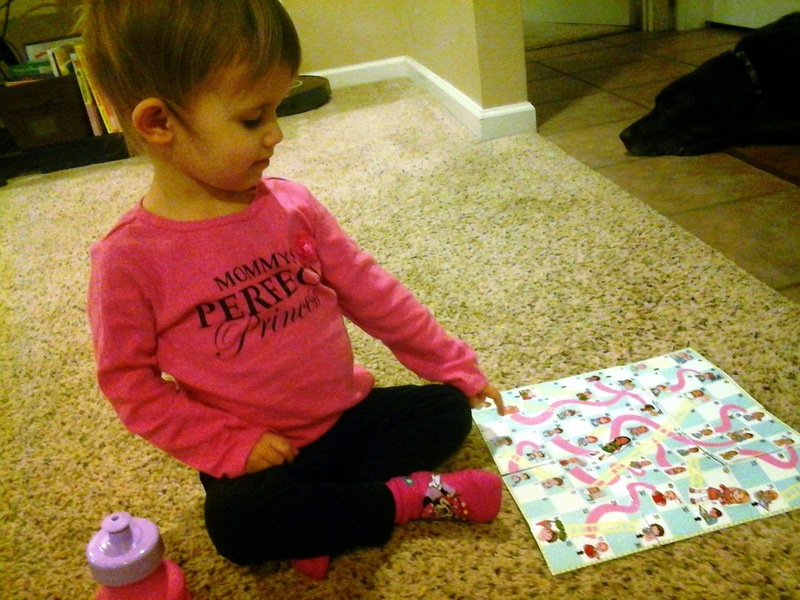 When I do this lesson again, I'll take a picture of June and make her own game piece. I also will probably print a picture of Christ and the temple on the very last space of the game. She enjoyed using the printables to act out the story, that I may start reading straight from the scriptures (if it's not too long) and have her act out the story in that way. It would probably direct her attention to me reading if she has to move her little paper dolls to scriptural direction. Overall, it was a successful Family Home Evening. I even got June-loves after she won the game (since she made so many good choices! ).